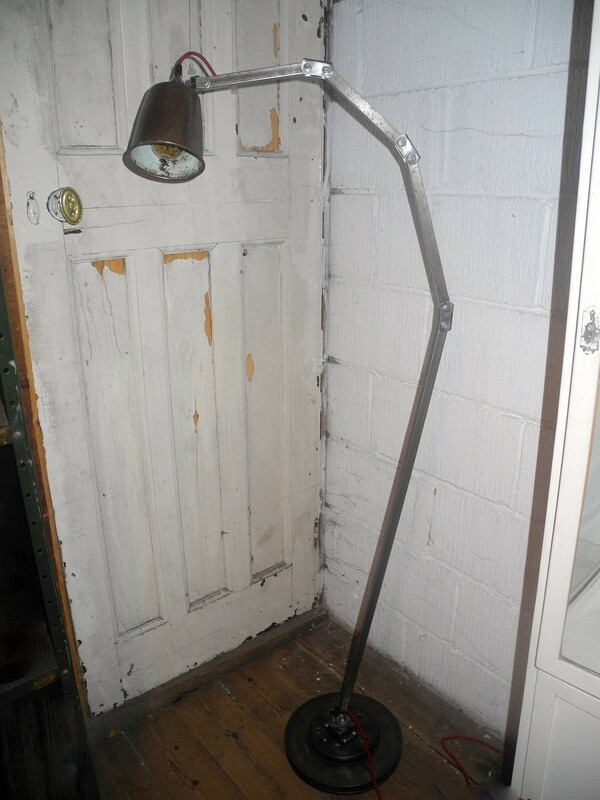 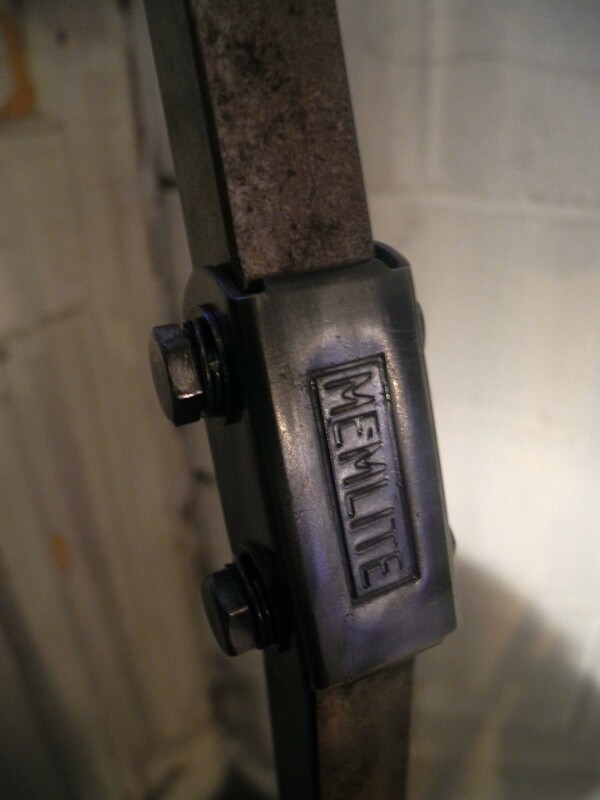 Fantastic Example Of A 1950's Floor Standing Memlite Factory Lamp. 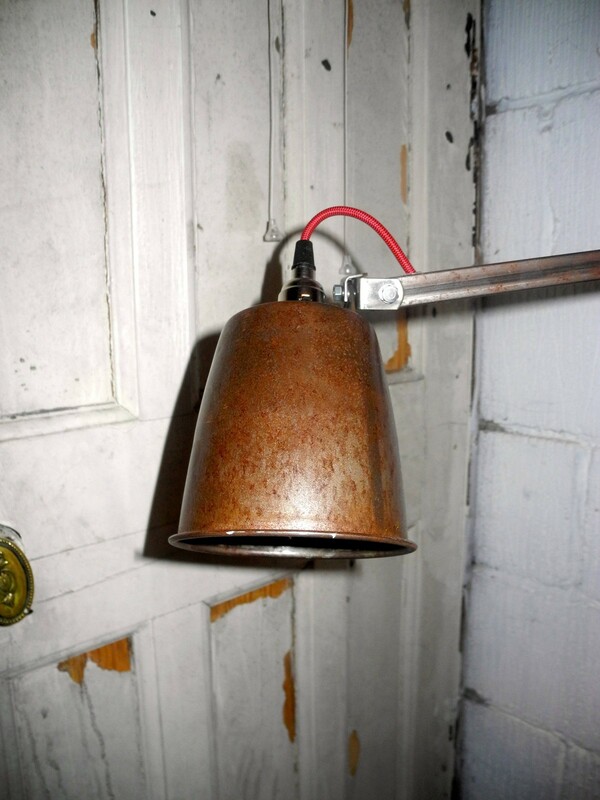 Rewired Using Red Vintage Style Chord Cable With New Safe Fittings & Switches. 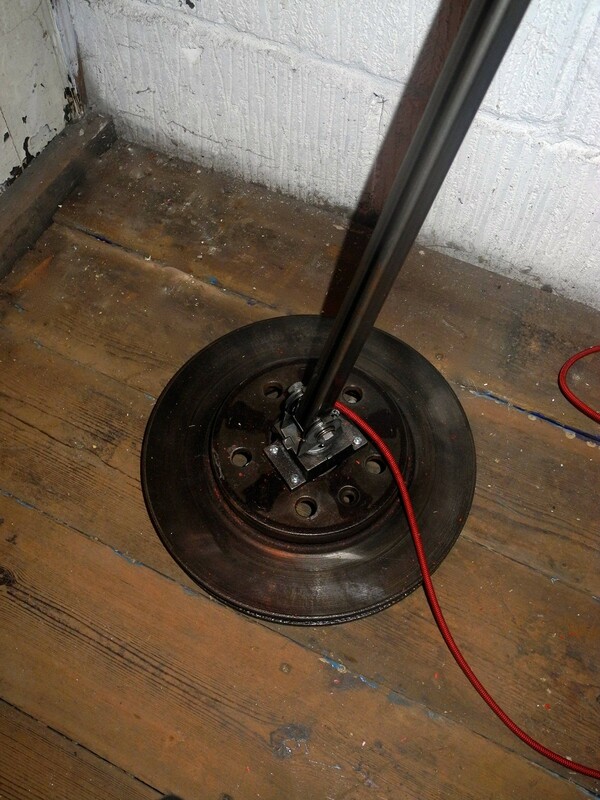 Pat Tested & Fixed To An Old Break Disk, Which Matches Its Industrial Style. 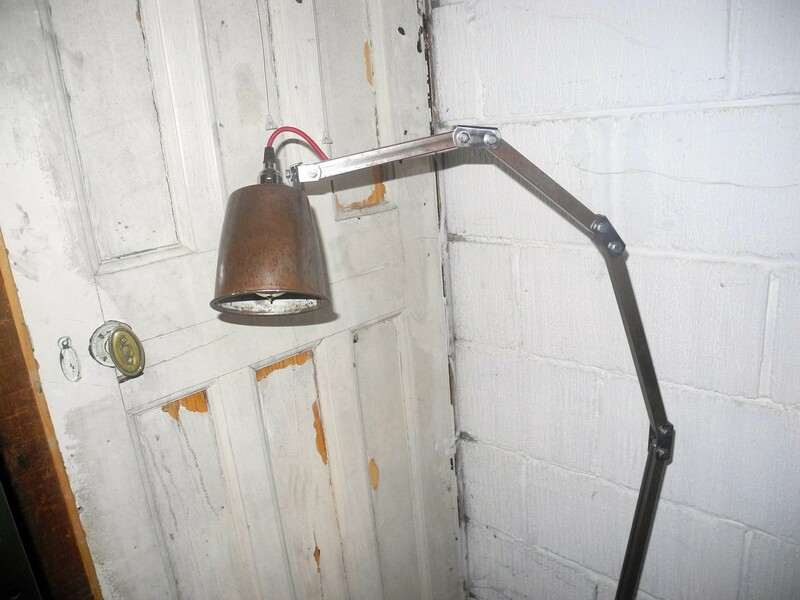 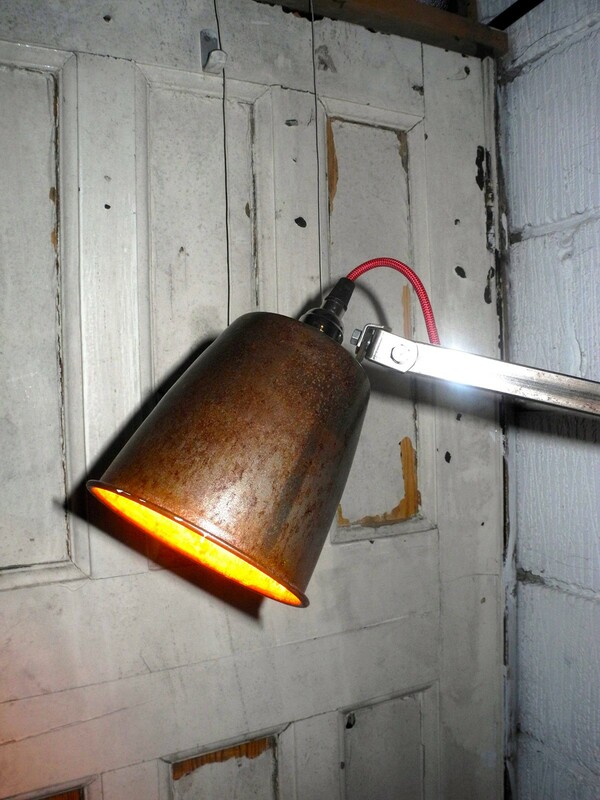 This Lamp Was Originally Mounted To Heavy Machinery, So They Need Heavy Bases To Counter The Weight Of The Lamp.